Holy Week is a time for us to slow down, reflect on our relationship with Christ, & His great love for us. Fridays during Lent, are dedicated in a special way, to honoring God’s great love & the Good Friday manifestation of this Love…by Jesus’ Death on a Cross… for our salvation. How much time have you spent allowing God’s Word to penetrate your life? Are you reflecting on: Who you are? Where you come from? Where you must go? What path you must take in life? The Gospel of John is a great place to begin… click on the underlined link to help guide you. Reading, hearing, meditating on Jesus’ Passion & Death is not very comfortable, but it is necessary. It gives us time to know Jesus more deeply. It allows us to have a glimpse of what love is willing to do; of what love is capable of doing. This is the holiest of weeks…do I understand what Christ has done for us, for me? Am I prepared to celebrate in His victory? Am I prepared to walk with Him to Calvary so that I can share in His victory, His Love, His Life…? Let us take time over the next few days to be with Jesus. Let us reflect on Scripture, talk to Jesus, and listen to Him. As the events of Holy Week intensify, are we prepared to be known as "criminals?" Do we stand by Jesus? 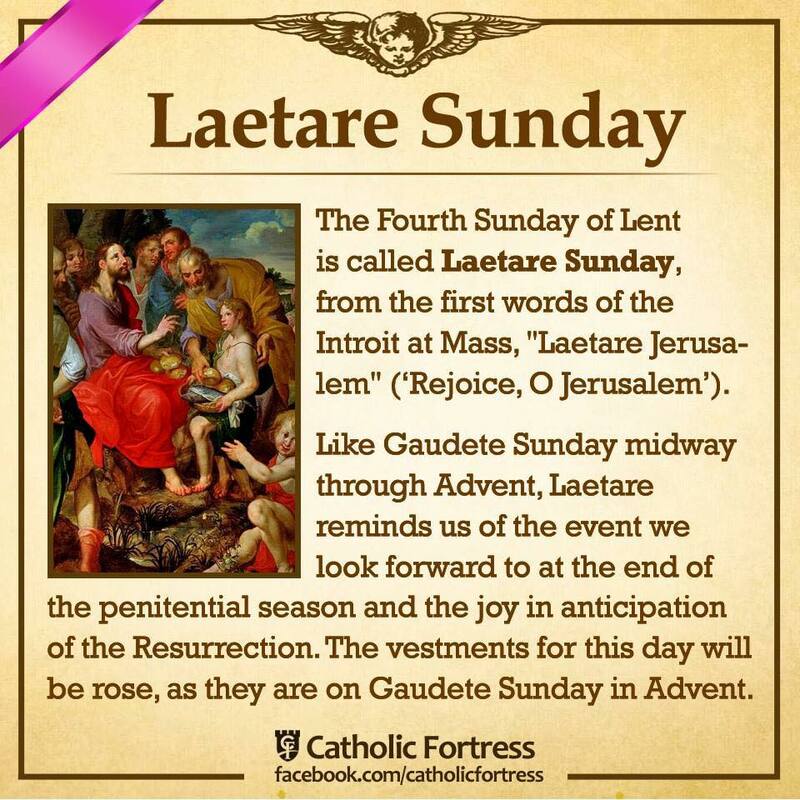 Palm Sunday, is the official entry into Holy Week, the last week of Lent. 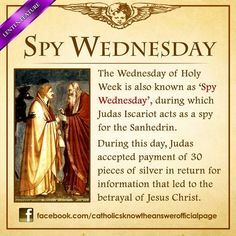 In Catholic tradition, the conclusion of the week is the Easter Triduum. The Easter Triduum begins Thursday evening of Holy Week and concludes with the Easter Vigil. On Palm Sunday we observe the triumphant entry of Jesus into Jerusalem. The crowds who were in Jerusalem for the Passover welcomed the proclaimed King by waving palms as He entered the city. The irony of His acceptance as the new King by the crowds – who would only five days later cry for His execution – should be a sobering reminder of the human tendency to want God on our own terms. 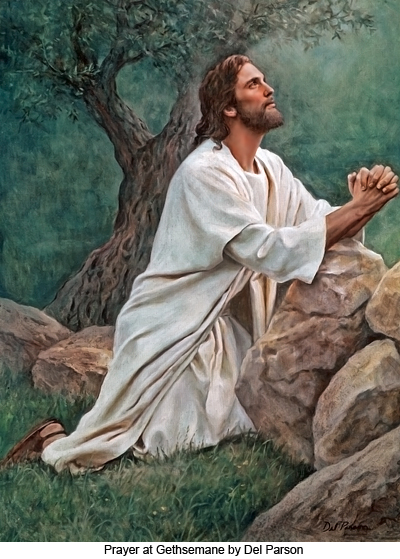 Let us take time this week to meditate on all the Christ has done for us – His road to Calvary – and the events and actions by those closest to Him & by those who claimed to know His Father. Click on image below for a short video meditation. 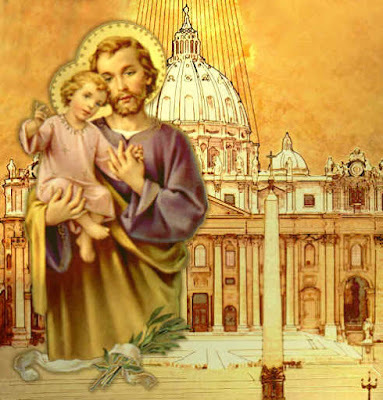 Almighty God, grant that we who are constantly betrayed by our own weakness may draw the breath of new life from the passion and death of Your Only-Begotten Son, who lives and reigns with You in the unity of the Holy Spirit, God for ever and ever. Amen. I want to share a Lenten resource with you. However, first I want to share what I am doing this Lent, which will explain why I am not regularly blogging. I am intentionally spending more time with my family: going to movies, eating more with them, riding bikes when the weather is nice, watching a Harry Potter movie marathon with my son, taking my daughter to the library for a date day… I am trying to focus more of my time & energy on them, rather than crossing off items on a list every day. I am trying (not always successfully) to say no to all the other requests for my time that are taking me away from my family & my #1 resolution noted above. If you let Jesus turn your life upside down, you will be happier than you ever imagined was possible. And you won’t just have happiness—you will have joy! This is what Jesus does. He radically transforms the lives of the people he encounters, by rearranging their priorities. Perhaps that is why we avoid a deeply personal encounter with Jesus, because we are afraid of that radical transformation. But you will look back a few years from now on things you thought were so very important today and realize that they were not—and that your new priorities have more truth, beauty, and wisdom. Are we proactively seeking Jesus? Are we making an effort to experience him? Are we curious about him? Are we in a hurry to meet him? Are we happy to welcome him? What change is your heart prescribing for your life? Are you proactively seeking Jesus out? or Are you just stumbling upon Jesus at different moments & in different experiences of your life? Is Jesus really a priority in your life? All we have to do is: Love God in return, & love our neighbor (be kind to all, be patient with all, do not think ourselves better than others…). Today is a good day to reflect on how faithful, how joyful, & how loving we are. Do we need to make changes? 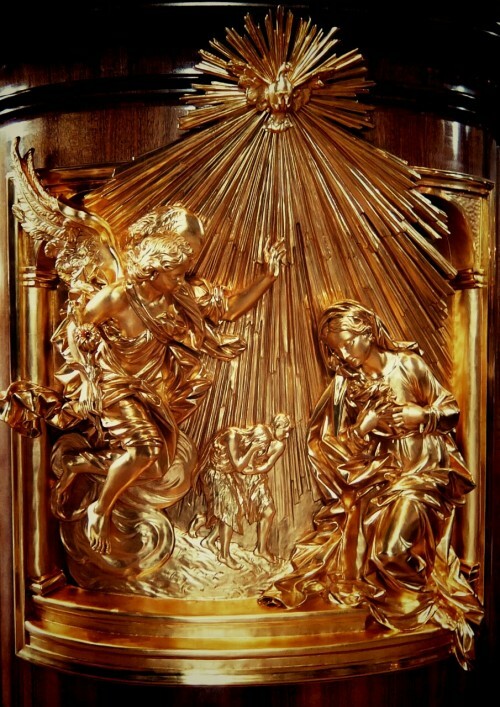 A detail of the pulpit next to the papal altar in St Peter’s basilica, Vatican City, depicting the Annunciation. 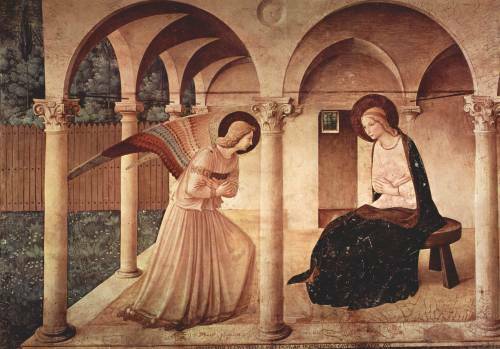 The world waited for Mary’s response… Is God awaiting yours? “In answer to modern requests for signs and wonders, Our Lord might say, ‘You repeat Satan’s temptation, whenever you admire the wonders of science, and forget that I am the Author of the Universe and its science. Your scientists are the proofreaders, but not the authors of the Book of Nature; they can see and examine My handiwork, but they cannot create one atom themselves (without using the matter I have created). You would tempt Me to prove Myself omnipotent by meaningless tests…You tempt Me after you have willfully destroyed your own cities with bombs by shrieking out, “Why does God not stop this war?” You tempt Me, saying that I have no power, unless I show it at your beck and call. This, if you remember, is exactly how Satan tempted Me in the desert. When you face temptation, what do you do? Do you turn to Jesus? Do you seek assistance…Divine assistance? When you fail, do you get up & continue on the journey? Lent is about success & failure…getting up & trying again… in & with Jesus!